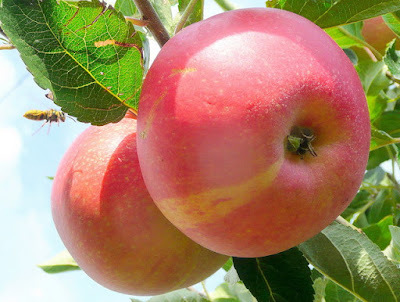 We were given some Discovery apples by my uncle when we visited the farm a couple of weeks ago and I was told they were good for cooking with and also as eating apples. We went to the Lake District for a few days this week and took a couple of apples on our walks - they were lovely. I had about 6 apples left and got thinking about what I could make with them, trying to steer clear of the usual apple pie/apple crumble recipes. I had the idea of making muffins filled with caramel sauce (toffee apple) so started planning that recipe but wondered what I could do to make them a bit more special...boozy icing?! When it comes to the icing, feel free to make the icing to taste; I took these to our friends' house as a dessert and the reaction was "ooh these are lovely...how much rum did you put in the icing?!" - so perhaps if you don't like such a knock-your-socks-off booze hit go easy on the rum! This recipe looks very long and has a few steps to it but it's really not difficult so please don't be put off by the length of it! Pre-heat the oven to 180C (fan) or 200C (conventional oven). Begin by creaming the caster sugar and butter for the muffins in a bowl. Next, sieve together the plain flour, baking powder, and salt. Alternate adding the flour mix and milk a couple of tablespoons at a time to the butter and sugar mix. until combined. Stir in the cinammon and then fold in the apples. Leave these to cool in the tin for a few mins before transferring them to a wire cooling rack. 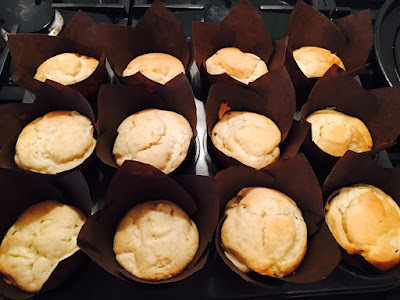 Whilst your muffins are cooling you can now give your full attention to the caramel filling. 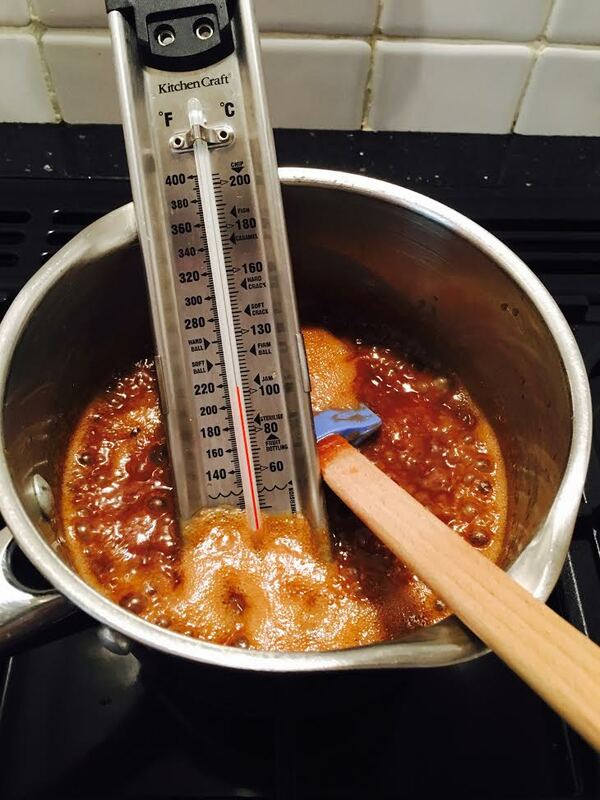 Start by adding the butter, sugar, golden syrup and condensed milk to a large saucepan and bring gently to the boil over a moderate heat. Keep stirring the mixture to combine it fully. When the mixture has boiled stir in the whipping cream and then place the sugar thermometer in the saucepan. Leave the mixture to bubble away gently until it reaches a temperature of around 110C - stir the mix every now and then but don't mess with it too much! It will take a while to reach temperature but don't panic or turn the heat up; just be patient with it! In about 20 mins you'll have the temperature you need and then turn the heat off, stir in the vanilla and salt, and leave the mixture to cool for about 30 minutes. 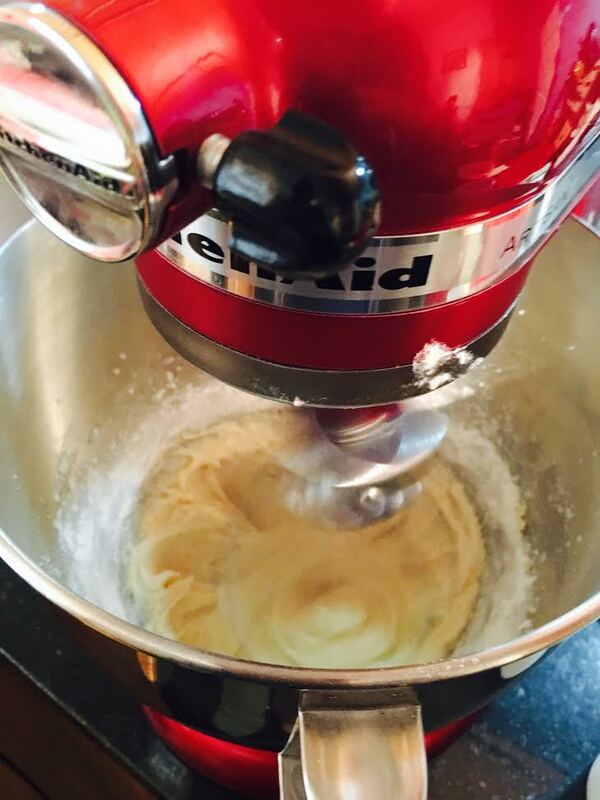 Whilst the caramel is bubbling away you can make the buttercream icing. Mix the butter with one tablespoon of the rum to break the butter up a bit. Then add the icing sugar a bit at a time so you don't end up with a thick fog of icing sugar everywhere (I have never ever found a trick that stops icing sugar from going everywhere so it's just about damage limitation in my kitchen!). Add the rest of the rum and the cinammon, and combine. When the caramel has cooled enough, it's ready to be piped into the muffins. First of all you'll have to make a hole in the muffins - you can use a piping nozzle for this or a straw even (it basically just needs to be something to create a hole big enough to pipe in to). Next, spoon the caramel into the piping bag and snip the tip of the bag off. Pipe the caramel gently into the muffins. It's really fulfilling to see the muffins expand with the lovely caramel and the tops will crack slightly when they are full - this is your signal to stop piping. Spoon the rum buttercream into a separate piping bag with a star nozzle attached to the end. 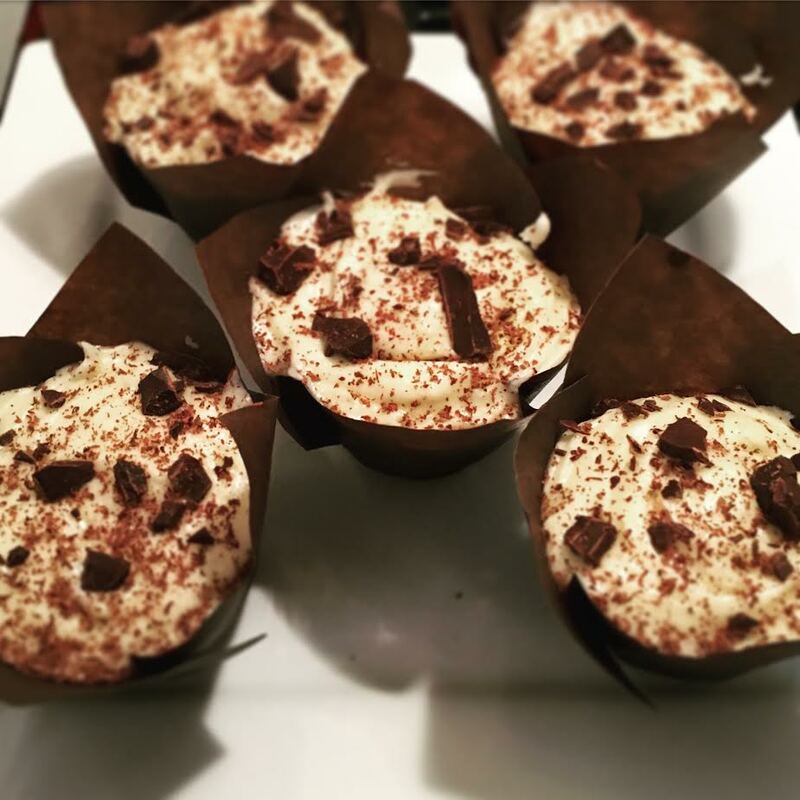 Pipe the icing over the muffin and if you want, you can add a flourish of grated or roughly chopped dark chocolate. Relax, pop the kettle on, and enjoy a well earned rest...and a muffin of course! If you like this recipe, follow me on Instagram aswarmastoast and Twitter @AsWarmAsToastUK or subscribe to my blog.